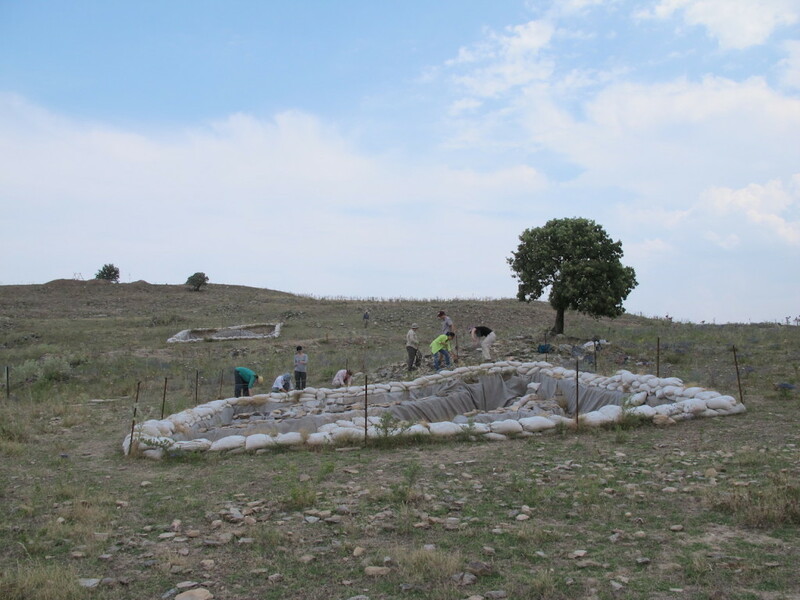 The process of excavation reveals artefacts and architecture that often require stabilization from the Kaymakçı conservation team. 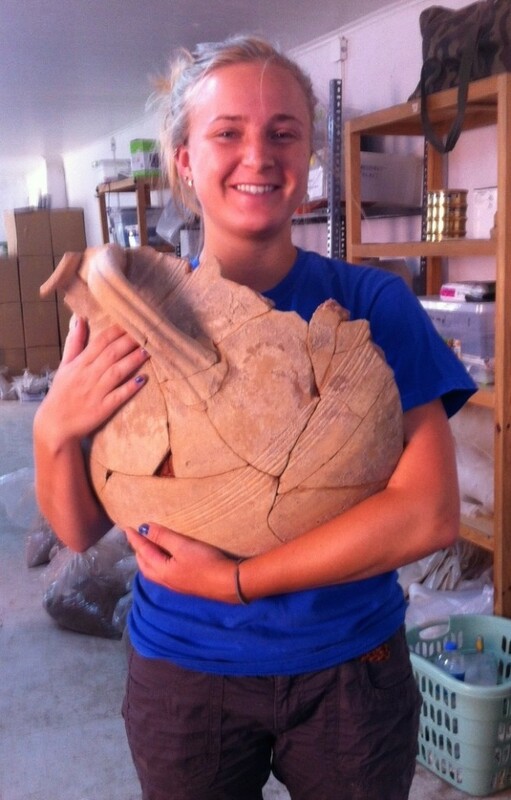 We work in the field and laboratory – where artefacts are brought following their recovery. 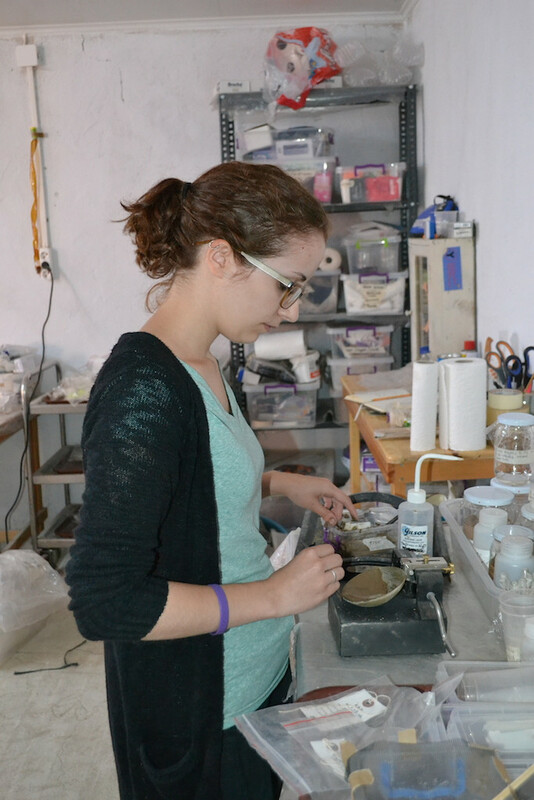 Adrienne measuring the plasticity of soil from Kaymakçi using a Casagrande apparatus. 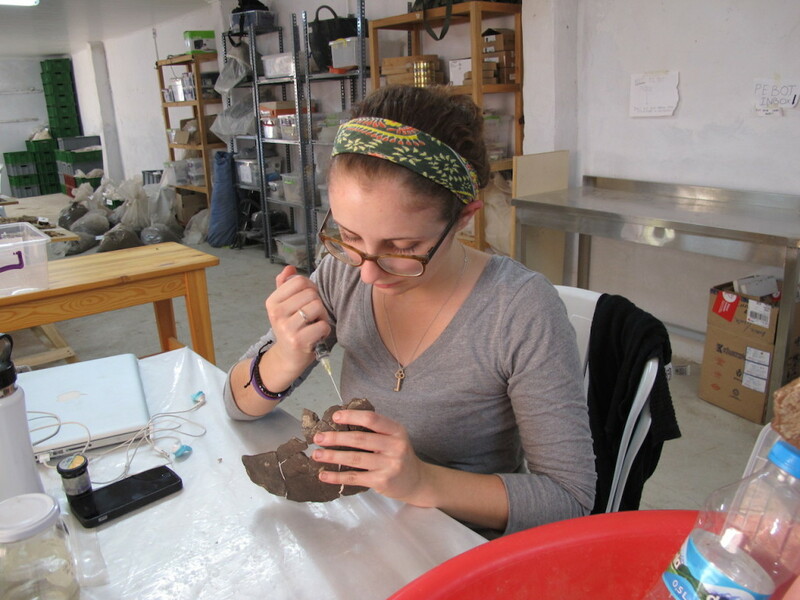 Our work involves the identification of archaeological materials when degradation makes it difficult to understand what is preserved. 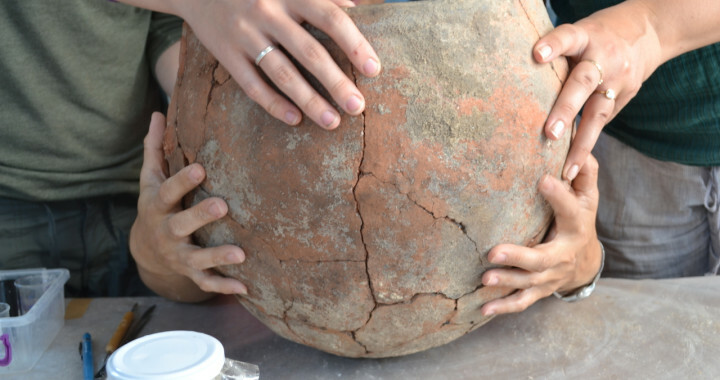 We also work to develop and test treatment methods to stabilize objects and conduct research to better understand the burial environment at Kaymakçı. 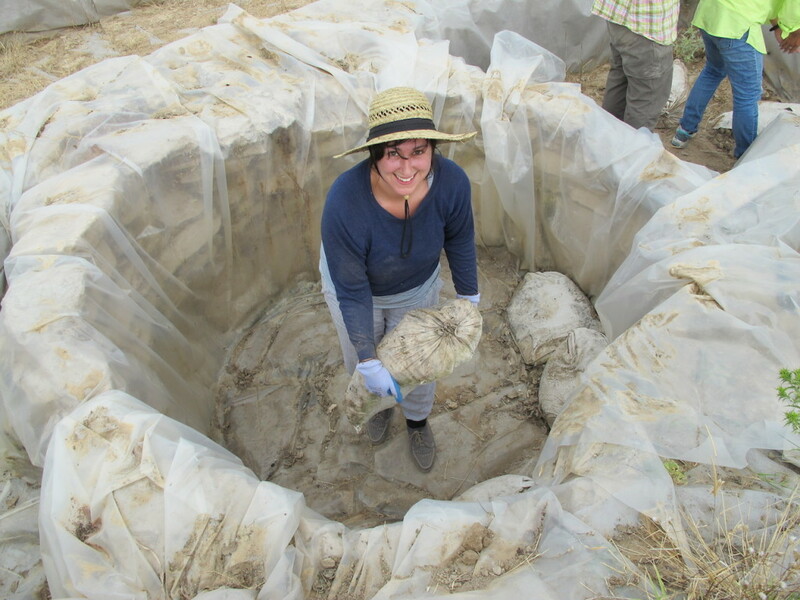 Recovered artefacts frequently have surfaces covered in burial soil and accretions due to the high percentage of carbonates (a kind of salt) in Kaymakçı soils. During treatment, we typically remove the soil and burial accretions, which mask surface features and decoration, using a variety of methods to reveal the object below. 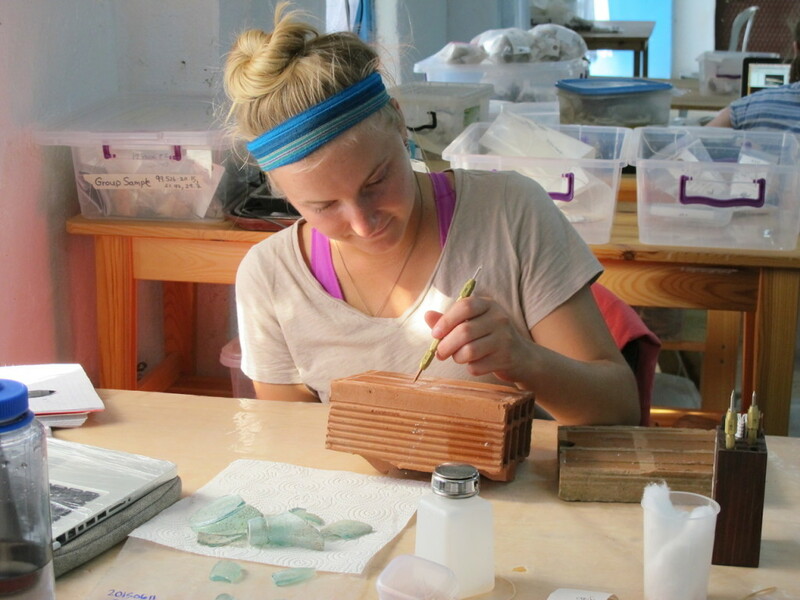 After cleaning and stabilization, sherds are reconstructed to produce partial or whole vessels using archival conservation materials. 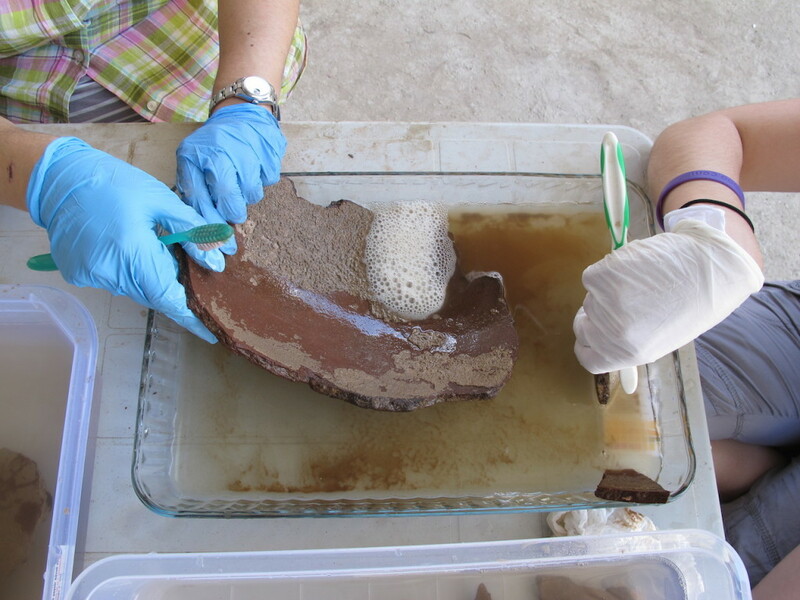 Adrienne using a syringe to consolidate a reconstructed vessel fragment with adhesive. We typically use magnification when working with small metal artefacts made of copper alloys or iron in order to see the varying layers of burial soil, accretions and corrosion. 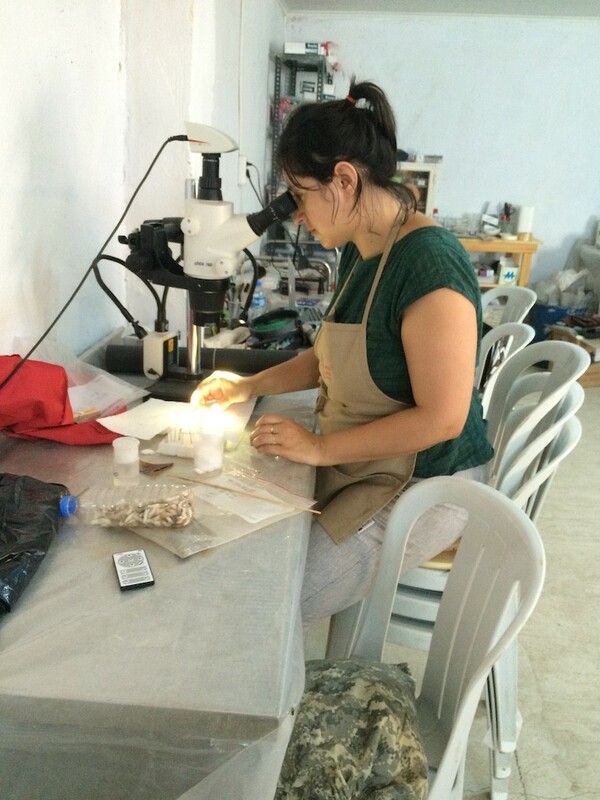 The conservation team at Kaymakçı enjoys working closely with archaeology specialists both in the lab and the field in order to stabilize, identify and research the many different materials excavated daily. Posted in Ceramics, Conservation, Samples Lab, Voices.